A release that should not be overlooked. Cape Town native Alan Abrahams aka Portable emerged during the much-cursed minimal craze in the noughties, though being among most remarkable proponents that time. Since 2002 Portable has been running own imprint Süd Electronic that dropped this spring impressive “Albatross Remixes”, which is definitely not worn out and even goes better with every play. The original features Portable’s modern bard qualities on deep-sea bass resonance. 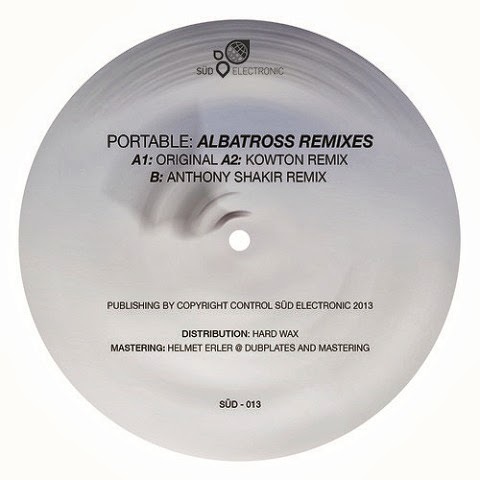 Kowton lifts the track to the realms of complex tech house while the B-side gets a brusque treatment by Detroit’s legendary Anthony “Shake” Shakir.